Insurgent DVD Release August 4th! I hope you saw my post a few weeks ago about how I was a bit frustrated with all the changes between the Insurgent book and the Insurgent movie. My favorite book of the trilogy and I felt it was ripped apart and glued back together in a weird order. Not my happiest post. Well, someone reads my blog and I was contacted by a press agency who asked me to share a clip to celebrate the release of Insurgent on DVD and after checking it out, I realized it was all legitimate. And the clip was great. It focuses on Veronica Roth talking about the changes she had to concede to while adapting the book. You can watch the video at this link. It got me thinking about my writing. It would be hard to let go of some things to compact it into a 2-hour movie. I think it’s awesome she was so involved in the process. It’s obvious she had to give in at some points and you can tell from the clip she’s not overly excited about it. But she was professional and stuck to her message and I have to commend her for that. I had some serious emotional investment in this book. My husband admonished me about it a few times because I’d come in from my car crying because I had childhood flashbacks to midnight book releases and listening to Harry and the Potters. So this might be a biased review, but it’s my review and it’s one from a self-proclaimed Potterhead. You have been warned. During the brief span of just one decade, hundreds of millions of perfectly ordinary people made history: they became the only ones who would remember what it was like when the Harry Potter saga was still unfinished. What is was like to seek out friends, families, online forums, fan fiction, and podcasts to get a fix between novels. When the potential death of a character was a hotter bet than the World Series. When the unfolding story of a boy wizard changed the way books are read for all time. And a webmistress of the Leaky Cauldron, one of the most popular Harry Potter sites on the Internet, Melissa Anelli had a front row seat to it all. Whether it was helping Scholastic stop leaks and track down counterfeiters, hosting live PotterCasts at bookstores across the country, touring with the wizard rock band Harry and the Potters, or traveling to Edinburgh to interview J.K. Rowling personally, Melissa was at the center of the Harry Potter tornado, and nothing about her life would ever be the same. The Harry Potter books are a triumph of the imagination that did far more than break sales records for all time. They restored the world’s sense of wonder and took on a magical life of their own. Now the series has ended, but the story is not over. With remembrances from J.K. Rowling’s editors, agents, publicists, fans and Rowling herself, Melissa Anelli takes us on a personal journey through every aspect of the Harry Potter phenomenon–from his very first spell to his lasting impact on the way we live the dream. I am so proud to be part of the Potter generation and to have learned my moral lessons from Harry, Ron, and Hermione. I was someone who stayed up late reading when a book came out and went to get it at midnight or at least 6 AM the next morning (when it went on sale at Meijer and my mom was awake). So I had a lot of similar reactions to the ones Melissa shared. Yes, she’s almost a decade older than me so her experiences are going to be a bit different, but I remember the logistics of getting book seven and wanting to shut out EVERYONE until I had read it. It brought back memories, really good memories, and I related to Melissa’s story as well as the facts about the book. Melissa did a good job of recreating the people she met through Potter. I thought she kept the number of people involved to a good number. I could remember all of them when they showed up again. I loved her interactions with Jo. Those were really special to me as a fan and writer. She always seemed to down to earth yet Melissa was freaking out as much as I would be. I always wondered what you had to do to meet Jo Rowling and I guess the answer is run the biggest fan site for her books. I started reading Potter when the third book came out, a bit before Melissa. Granted, I was in elementary school, not college when I started. I got the first three books for Christmas from my parents and they’re still in the box set I got them in. Like her, I was a bit skeptical at first, but I got sucked in by book two. It’s hard not to. I liked that she was an adult fan of a YA series because Potter made it OK to be a fan of YA books past age 17 and Melissa represented this well. I liked that she wasn’t ‘into it before everyone else was’ because those people are annoying. She was genuine and excited and I related to her. I loved the section about Wizard Rock. I remember the first time I heard Save Ginny Weasley (truth: I turned it on just now) and I still know all the lyrics to the chorus. It was such a happy and upbeat section of the book that had me (yes) crying in my car from nostalgia. So much fun. There wasn’t a part of the book I particularly disliked, but I will say the beginning had me skeptical. 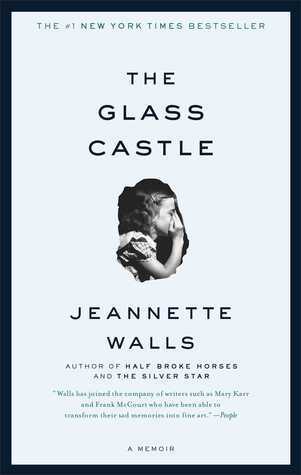 I was afraid it would be too much of a memoir and not enough of a historical account of the book. I thought Anelli did a good job of striking a balance between the two, but the beginning could have dealt with a little more fact. My audiobook was narrated by Renee Raudman. I thought she did a good job with the story, which was a bit flat. There wasn’t a lot of time for her to explore a lot of characters or high-stress situations so it wasn’t much to work with. Fans can get a bad rep. I’m a Potterhead and former fanfiction writer and I try to not hide that. I’m not ashamed to say I’m passionate about something the way Melissa is. There has been an acceptance of Fan Culture in the last few years that I’ve really appreciated. Fans are not just the people in CosPlay at Comic-Con (though a lot of them are there) but also everyday people who have other hobbies as well but enjoy a good story. I felt Anneli’s story addressed that well. Writer’s Takeaway: Melissa Anelli has a passion. And she wrote about it. I love that. I love when I can feel an author’s passion in the pages and hear it in the words and Anelli did that. It’s not one long scream like you might get from some fangirls when asked about their favorite ship or the time they met Dan Radcliffe. She was put together and well spoken and every bit the reporter she was educated to be. Her passion shone. Great book for a Potterhead to read between re-reads. Four out of Five stars. I was a little underwhelmed with the first book in this series, Miss Peregrine’s Home for Peculiar Children, which I reviewed last year. But the book left off on such a cliffhanger that I decided I would eventually continue the series. Obviously I was in no rush. My husband and I had a nine-hour drive on our camping vacation so we decided to knock this one out. I’m left with much the same feeling. This lackluster summary is appropriate for this book, which has a serious case of ‘Second Book Syndrome.’ The first book introduced us to a ton of unusual characters and a cool underground world where the second one gave us a lot of throw-away characters and introduced too many new main characters. The idea of the first book being a story to string together the odd photographs was great, but the new pictures have entirely different people in them and seemed to necessitate adding another large number of characters to the second book. I didn’t find that necessary and it was a bit overwhelming. I was also highly disappointed in the ending. I thought it rendered the rest of the book pointless. I put the final one on my TBR, but at this point it feels like morbid curiosity than eagerness. I found the relationship between Emma and Jacob really forced and disturbing. It diminished Emma as a character for me, which is unfortunate because she’s such a main presence in the book. For someone who seemed to be pining after Abe in the first book, she’s very quick to crush on the guy’s grandson. Plus, isn’t that creepy? I think it’s really creepy. The fact that it didn’t bother Jacob either got to me. He acted too much like a love-struck puppy for me and it seemed at odds with his authoritative leadership among the Peculiars. It was all too inconsistent for me. Bronwyn became a very stand-out character for me in this book. I don’t remember her playing such a big role in the first novel, probably because she was too busy taking care of Victor. In this book, she takes care of everyone else. I thought it was a good development of her role. I remember the rebellious feelings Jacob has. I remember how that felt when I was sixteen. I thought my parents were wrong about everything and were only trying to control me. But I realized they were right. I was better off staying away from dangerous people and being home rather than God-knows-where. If Jacob had just stayed put, would all of this have happened? Probably not. I understand why Jacob pushed against his parents, but I wish he’d take a little credit for what’s happened. I liked the menagerie. I thought those characters, though only two talked, were well-developed and I saw a purpose to having gone there and learning what they did. I’m glad Addison came back in the end because I think he could be a really good character to have in the final book. The ending ruined the whole book for me. I’m going to talk about it now so skip to the end if you haven’t read this and don’t want to know what happens. Finding out that the bird wasn’t Miss Peregrine all along makes their whole journey to save her pointless. Without it, they would be lost and vulnerable on an island. Now they’re lost and vulnerable in London and we have a lot of other characters involved. I feel like nothing important happened in the book. There wasn’t a lot of character development to justify a circular plot. It makes me want to give up on the series, but I need to know that something substantial happens in the final book at the same time. So conflicted. The audiobook I listened to was narrated by Kirby Heyborne. He is not the same person who narrated the first book in the series and I noticed the difference as soon as we started it. Heyborne did a fine job, don’t get me wrong, but I think I prefer the previous narrator. Though I did enjoy the droll sarcasm of Jacob in Heyborne’s voice. I was getting a bit sick of the accents by the end because I was thinking that if I read the book, I wouldn’t have to deal with them. It was a bit cumbersome but helped keep the characters apart in my head. The end of the book reminded me a lot of the end of Catching Fire in the Hunger Games series. There’s a war starting and even teenagers have to decide if they should stand and fight. In reality, it is teenagers who have to make this decision as young as eighteen (seventeen if you’re a wizard). Knowing what’s right and what’s worth fighting for is important and unfortunately for Jacob, it’s come down to life or death to push the issue for him. Writer’s Takeaway: Characters, characters, and more characters! Way too many for me. I know Riggs likes using the vintage pictures to bring characters into his books, but I think it caused him to introduce too many. Not every picture needed to turn into a new peculiar in this world. It was overwhelming. I was given the general rule that if you can take a character out, to do it. Too many characters confuse the reader. Not as engaging as the first but still well written. Two out of Five stars. A few weeks back, my book club met to discuss The Bohemians by Ben Tarnoff. If you remember my review, I wasn’t a huge fan. I thought the book was too much of a textbook to be enjoyable as a casual read. Seems I wasn’t alone. Most people in the group finished the book and most of us agreed it was too long and too much information so it read like an assigned textbook. We suspect that Twain’s name was in the title to help it sell. If Harte’s name or another’s were there, there wouldn’t have been the name recognition and we doubt it would have been as successful. We had one member who did enjoy it and she thinks it’s because she was born in Missouri and lived in California. She knew about Twain’s history with California and the Gold Rush. She was already two steps ahead of most of us. The book did succeed in highlighting an interesting cultural change in literature during a big change in technology, specifically the transcontinental railroad. I would never have thought to associate the two. Those who traveled West before the railroad brought the Eastern culture with them and civilized the region. We were surprised at the number of magazines in San Francisco. The stories the Bohemians created were reflective of the new and exciting place they were living. They were living somewhere fun and would be damned if those Easterners were going to come ruin it for them. Though at the same time, they wanted Eastern approval and money. The Bohemians were very hot and cold with each other. Sometimes they’re friends helping edit each other’s work and encouraging new ideas. And then sometimes it was fierce competition and ignoring those who had helped another rise. Specifically, the relationship between Harte and Twain. It reminded me of the movie Mean Girls. Most of us didn’t know that Twain had such a struggle toward success or that he had become famous through lectures. We were especially surprised to find he became famous first in California. Most of us associate him with Missouri. It seemed ironic that the man who wrote The Adventures of Huckleberry Finn wanted to avoid the draft. But I guess principles hold out over adventures. We found Twain’s obsession with poverty a bit unnerving. 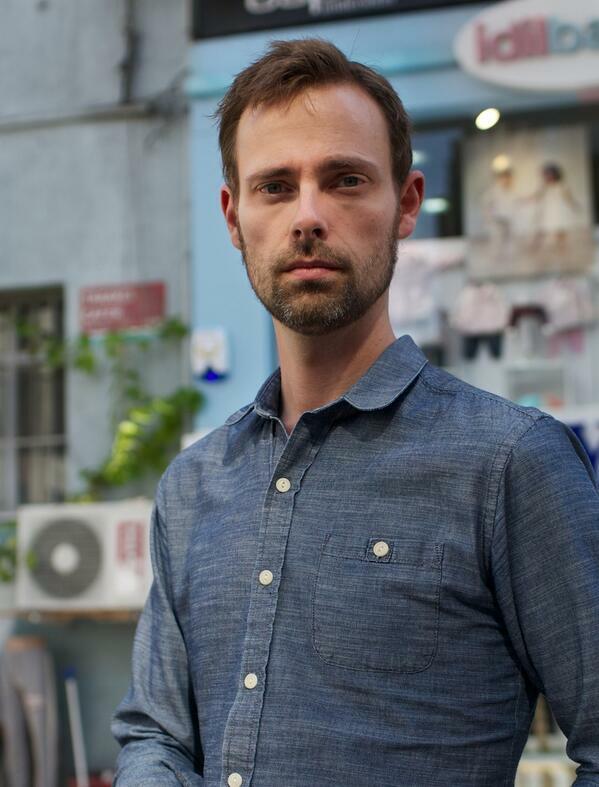 It almost felt like he had a mood disorder because of his deep depressions and manic highs. He seemed to be living at the edge of bankruptcy and was either crippled by it or reveling in it. It seemed convenient that his wife came from so much money. During his good moods, Twain seemed like the man everyone wanted to be friends with. He was the life of the party and fun at the bar, weaving great stories. It was his nature to be a bit hodge-podge and lie and be messy. The amount of editing Harte had to do for his work is a bit representative of that. We wondered if there were first drafts available so we could see the amount of change in editing his work went through. Those in our group who knew the most about Twain knew it because of a 2014 PBS documentary by Ken Burns. Here’s the link if you’re interested. Harte’s drastic change in the end was really shocking. He was angry and mean when Twain started to become famous instead of being happy for his friend. When The Heathen Chinese made him famous overnight, he went from a diligent writer and editor to an unreliable alcoholic. He went solo and things went downhill from there. He couldn’t produce when it was for someone else. It was better doing it for himself and being a kingmaker than writing for another editor. We didn’t speak about Coolbrith and Stoddard much. There wasn’t much to say about these two who disappeared into obscurity. We felt bad for Coolbrith because she seemed to be the only responsible one in the group. She was a very modern woman with the way she cared for her family and worked. Stoddard seemed like a lost soul, but we suspected he might have had ADHD which would have contributed to his inability to focus and stay in school. Our overall comment was about how we felt those in the book threw caution to the wind much more readily than we would in 2015. We have bills and mortgages and families while these things didn’t seem to hold Twain and Harte back. Maybe this is a bunch of women (and a few men) talking because Coolbrith did seem to be held back by the things that plague us today. Though I have to admit I would love the freedom to pick up and move across the country. It would be very freeing. Currently reading: Slow progress on Cloud Atlas by David Mitchell. I’m enjoying the story a lot more now that I’m back into it. The first section was rough to get through, but I’m starting to see the connections between characters and it’s getting interesting. No progress with. I Am Malala by Malala Yousafzai. I lost the hold so this one might be a while. Mockingjay by Suzanne Collins flying by. I’m into the part that will make up the Part II movie so it’s all new to me again. I love it. 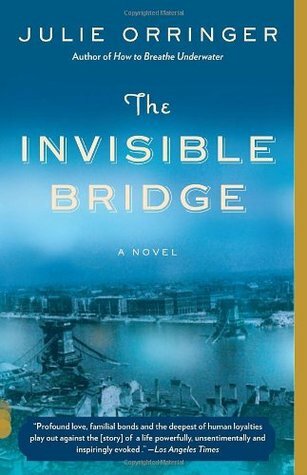 The Invisible Bridge by Julie Orringer is going slowly, but it’s enjoyable. I’m on disk 6 of 22 so that’s progress, though granted not much. 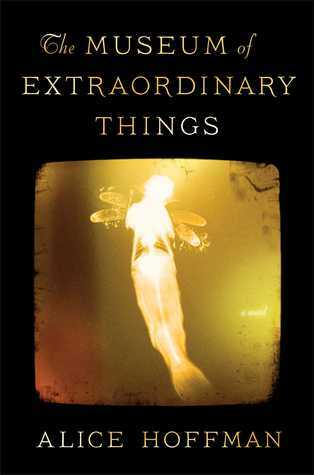 I was able to start The Museum of Extraordinary Things by Alice Hoffman late last week. So far, so good though I’m going into this with negative connotations because I really disliked the last Hoffman book I read. Just trying to stay impartial. 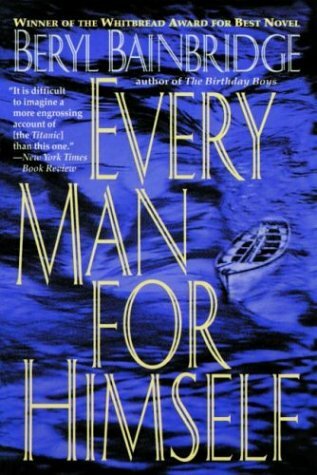 Recently finished: I cried finishing Every Man for Himself by Beryl Bainbridge. I think my own Titanic knowledge made it worse because I knew which characters would live and die. Bainbridge did a great job of incorporating the well-known passengers, much the way the James Cameron movie did. I started watching the movie after finishing this. Still ongoing due to a bad TV. 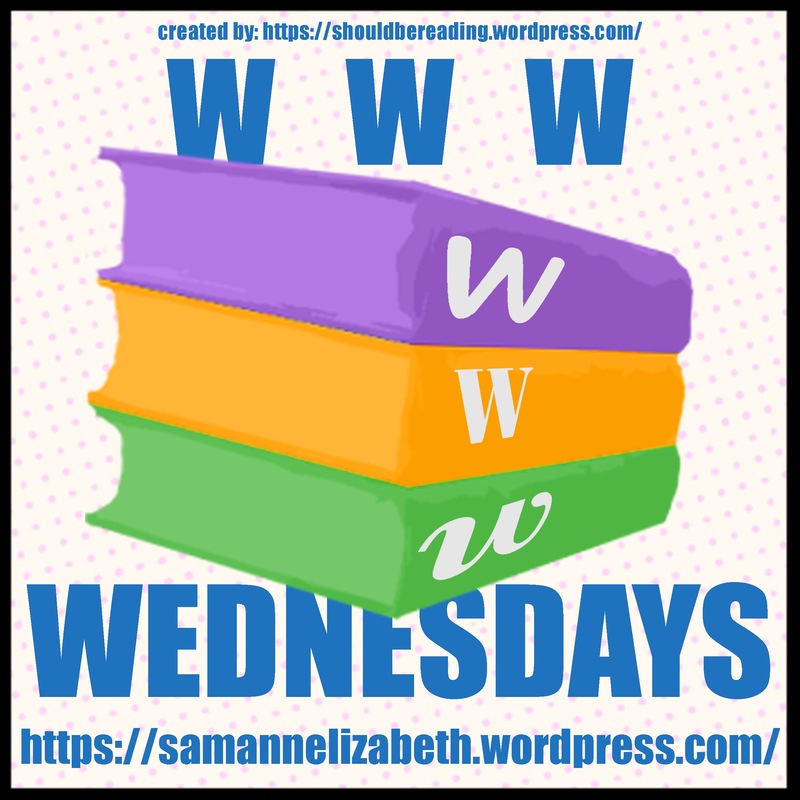 Only one book review this week, Wuthering Bites by Sarah Gray which a lot of you said sounded interesting. Hope you like my review. Reading Next: I should get A Widow for One Year by John Irving this week! I’ve been waiting on this one for a while so I’m looking forward to it. 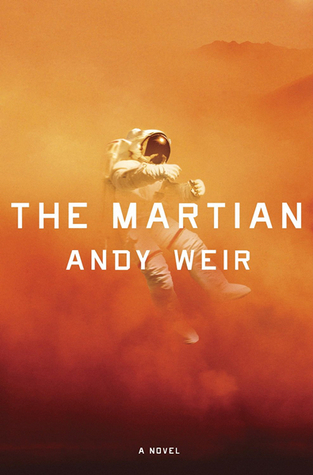 I’ll also be starting the audiobook of The Martian by Andy Weir. My husband and I are driving to New York and back for our annual trip so I hope this keeps us entertained while we go through Canada (fastest route between Detroit and Syracuse). I’m honored to announce that last month I was nominated by Kay the Desert Bibliophile for the Blogger Recognition Award! It’s been a while since I received the award and I’m very humbled. Thank, Kay! How my blog was born. I used to watch a lot of movies. I worked a job with weird hours and I was tired and alone a lot of the time. I decided to join a book club when I switched to my next job and had a more regular schedule. It was a reward for myself for having gotten the new job. I became addicted to book clubs and book discussions. I wanted to talk about all the books I was reading all the time, but there was no one person reading all the same books. So, I wanted to put my thoughts online and find one or two people who’d read each book. (That’s all of you.) I started using it to keep myself accountable for writing as well and it’s snowballed from there. Blogging advice. Get a schedule. I’ve messed around with schedules for a while and found M-Th works for me. I stay accountable for three posts a week plus the WWW Wednesday meme and it keeps me up to date without being too much pressure. It’s a good balance. My second piece of advice would be to stop following blogs that make you mad. I’ve followed and unfollowed a lot of blogs in my past (almost) two years. If someone doesn’t like a book I do, oh well. But if someone’s insulting my intelligence or saying something I’m doing is dumb or their reviews are too much like summaries for me, UNFOLLOW. And I don’t feel bad about it. 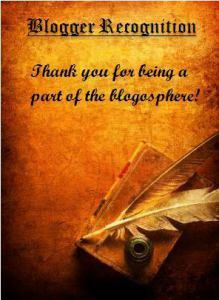 Thank you all for blogging and I hope you continue. So this is hard to review. Is this review for Sarah Gray’s novel or for Emily Bronte’s? This is my dilemma. This book was a gift from my husband who got it in a book exchange while he was still in college. A fun read to be sure and I’m certain I enjoyed it more than the un-super-natural original. Gray reimagines Emily Bront’s classic tale of enduring love–but with a vampire twist. Wow, what a long summary. Huh. I’ll say that I enjoyed the overall story and I’m not sure how much of it was the original piece and how much was added. I know Catherine senior probably wasn’t bitten by a vampire in the original, but I’m not sure if Nelly was really shut up in Wuthering Heights for days. Part of the enjoyment of this novel was ruined for me because I kept thinking about this. I remember thinking Heathcliff was overdramatic and Cathy was a pain in the rear. It almost makes more sense to think of them as vampires and hunters. It was fun if nothing else. Most of my problem with this book, when I read it in high school, was that the characters were melodramatic and they made me mad. This time it didn’t seem to bother me so much. Catherine Junior still seemed spoiled rotten and bugged me some, but she had some moxie to her when it came to slaying that I appreciated this time around. I could deal with it. I liked that Nelly was telling this story and I thought her perspective on the story was a good spin. It was biased yet neutral at the same time, which is a good balance. She also seemed like the sanest of all the characters. Hareton was my favorite character. He had such an abysmal life for a long time, but he let Catherine be a savior for him and pull him into a better place. I was happy for him at the end of the book and I’m glad things worked out alright for him. I rooted for him and it was nice to see him win. One of my biggest problems with melodramatic gothic fiction is that I don’t relate to the characters. I don’t know anyone who’s a gypsy orphan with anger issues or someone who would marry their sickly cousin at the behest of their uncle. This is crazy stuff and trying to relate to it is like thinking your life is a soap opera. Maybe it’s similar for five minutes, but things get better. They don’t for Cathy and Heathcliff. It’s a small thing, but the quotation marks bothered me. Sometimes, there were quotation marks to dictate there was a conversation going on between Nelly and Lockwood, but those would disappear and then sometimes there were quotes within quotes but not always and AHHH. It was too much for me and inconsistent. I tried not to let it distract me from the story, but it was hard. Rather than talk about the themes of the book (because we’ve all probably written an essay on that), I want to talk about this trend: supernatural classics. The first I remember hearing about was Pride and Prejudice and Zombies. I never read it, but heard it was an almost word-for-word transcription with bits added here and there about zombies walking around. That made me think this would be similar, but the vampires seem to be well-integrated into the plot. The other instance I’ve heard of is Jane Slayer which is again vampires though I’m not sure of sparkley-ness. I’m not sure I like this trend. It got me to re-read a (pseudo)classic, but I have Sense and Sensibility on my shelf and would have rather spent my time there. It feels like cheap fan fiction with minimal creativity and a copyright violation. I know these books have to copyright anymore because of the publication date. Does that mean this is something we are going to see with books as they lose that protection? I hope not. Writer’s Takeaway: While Gray’s work is entertaining, it lacked originality and that’s part of why it fell a bit flat for me. I wish there was something else she’d written that I could read but when I look on Goodreads, it seems her only other book is a vampire version of A Christmas Carole. Entertaining but nothing outstanding to me. Three out of Five stars. This book fulfilled the 1700s for my When Are You Reading? Challenge. 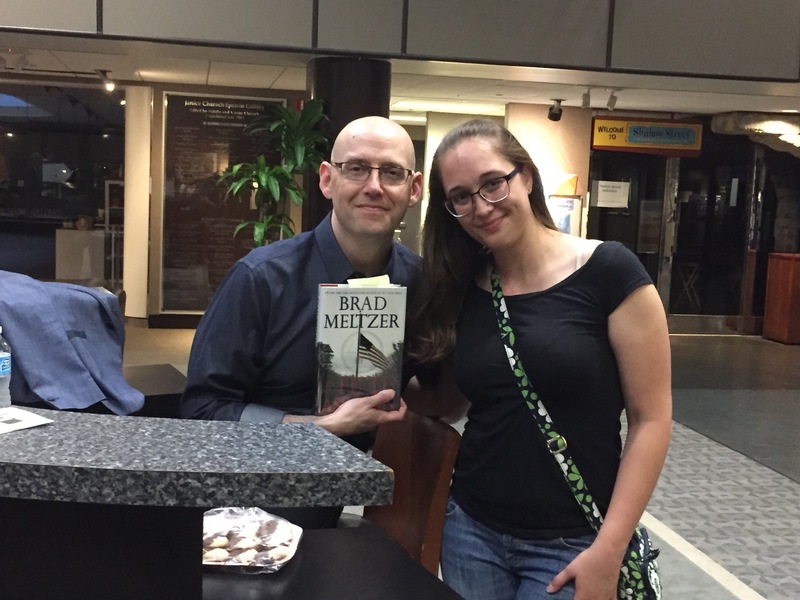 A few weeks ago, I had the pleasure of meeting author Brad Meltzer. He was in town doing a book tour for his latest title, The President’s Shadow. Meltzer’s first book in this series, The Inner Circle, had been chosen as the Everyone’s Reading title for our area. You can read my book review and book club reflections of that book. Meltzer was a great speaker. I was really blown away. I didn’t really know what to expect from him, but I guess I should have reasoned that someone who hosts two television shows would be a good speaker. He has some very strong ties to Michigan, namely that he is a University of Michigan graduate and a very proud alumnus. Every year for his birthday, he teaches a class to pass on the knowledge he gained when he attended there. He told the story about picking UofM because he had a friend with an old ‘Michigan’ t-shirt that he loved and it got him to look into the school. His first book was about Michigan and while that one landed in the ‘reject’ pile, he works a Michigan reference into all of his books. In The Inner Circle, I think the President was a Michigander. 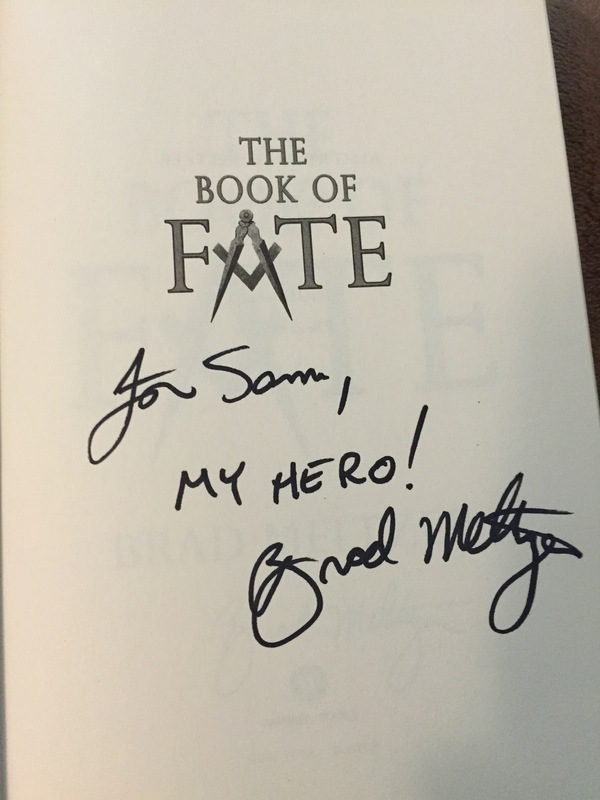 Brad was asked about what kind of books he likes to read. He said that he doesn’t read a lot of thrillers. Because he’s so involved in the structure of them in his own writing, he tends to figure out the red herrings and can guess at the ending before he’s supposed to and it ruins it for him. Instead, he reads a lot of Young Adult books and comics. 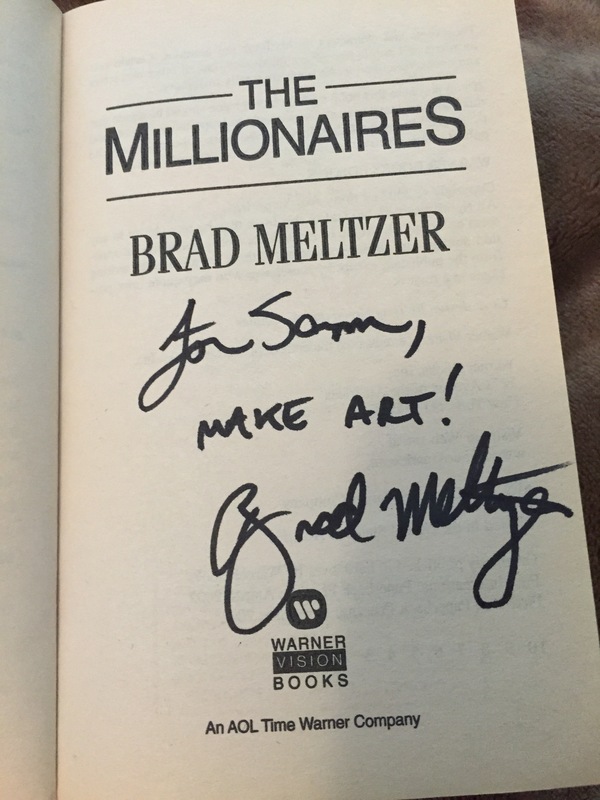 I should add that in addition to thrillers, Meltzer is known for his children’s books and writes comic books. He said that Neil Gaiman is his favorite author. Before I had to chance to, someone asked him about his writing process. He said that he handwrites his outline before he starts. I would think that as a thriller writer, you need to know the ending when you begin. Though Brad is the first thriller writer I’ve met so I can’t say this is a trend. Then he’ll outline 50-100 pages in more detail and write those chunks. This reminds me a bit of the Snowflake Method that I’ve visited in a few posts before. (If you’re interested, search my ‘Library Writers Group’ posts.) Being a UofM grad, a lot of his friends were able to come to the event. One in particular Meltzer recognized and made him stand. The man was a doctor. Whenever Meltzer is working on a murder scene or has a question about human anatomy or illness, he calls this friend. I think friends like this are an invaluable resource for writers! After waiting in line over an hour to meet him, I got my two minutes with Meltzer. I asked him the question I ask all authors. “I want to be where you are. What advice would you give me to get there?” His answer: “Don’t stop.” I don’t plan on it, Mr. Meltzer. No time soon. There are a few more pictures below. Enjoy! Meltzer’s current book tour is over, but you can vote on his site for your hometown to ask him to visit. Maybe he’ll stop in! Currently reading: My hold on Cloud Atlas by David Mitchell came in! I hope to get some reading done on this one. I’ve had a lot more ebook time lately because I’m in physical therapy for runners knee and between waiting in the lobby to be called back and doing warm up on a recumbent bike, I get a few pages in each day. Consequently, I’m letting my hold on I Am Malala by Malala Yousafzai expire for now. When I finish Atlas, I hope to pick this backup. Mockingjay by Suzanne Collins is going well. I’m beyond the point of the first movie and this is the part I don’t remember too well. It’s getting excited. I’ve set aside my PT exercise time as Mockingjay time. The Invisible Bridge by Julie Orringer is going slowly. As I feared, with my new commute, I don’t get as much audiobook time. I’m on the third CD of 22. I hope I can renew this one a few times! I’m really enjoying Every Man for Himself by Beryl Bainbridge. I love the Titanic so the setting has me really excited. I forgot how much her writing style makes for a quick read and I’m plowing through it. Hope to have this one finished next week. 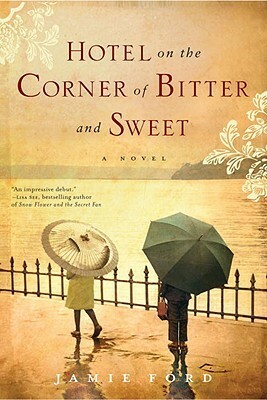 Recently finished: I cried while finishing Hotel at the Corner of Bitter and Sweet by Jamie Ford. The ending was a huge heartbreaker for me and I really loved it. Though I was reminded a bit of The Orphan Train with the ending and kind of saw it coming. Oh well, still a good story. A couple of reviews for you to check out as well. The first is A Game of Thrones by George R.R. Martin. The long journey through the first book is finally over! The second is Mr. Penumbra’s 24-Hour Book Store by Robin Sloan. This was my favorite book of June and I highly recommend it! Reading Next: I should get my copy of A Widow for One Year by John Irving next week so that’s forthcoming. There are a few other possibilities, though. 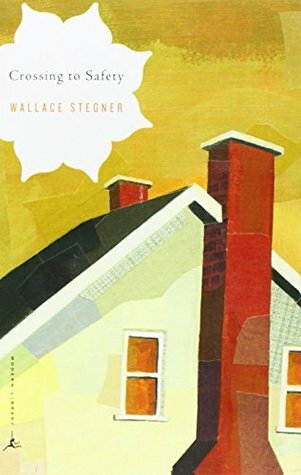 My next book club selections are Crossing to Safety by Wallace Stegner and The Museum of Extraordinary Things by Alice Hoffman. I might jump on those early if I get a chance so I’m not stopping midbook to read one of them later this month. You have to plan ahead as a bookworm!